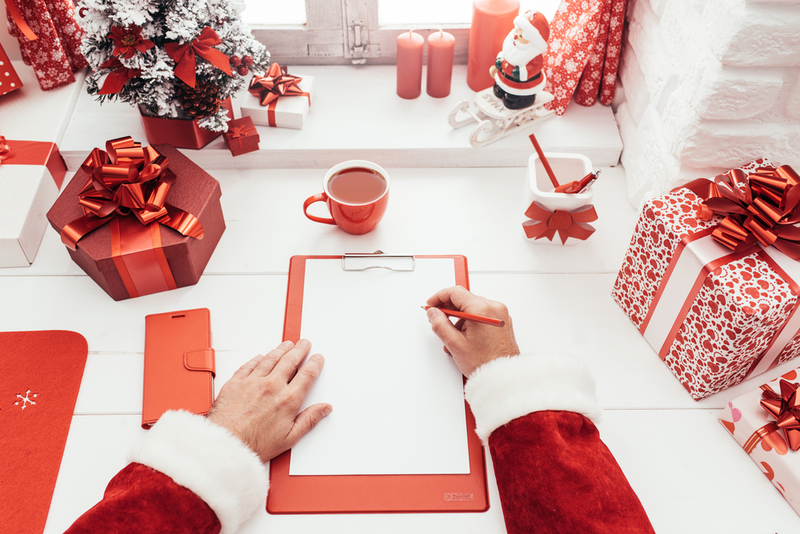 Christmas checklist: 5 ways to treat your employees this year! It's the 1st of December: the sudden omnipresence of the word ‘Christmas’ signifies that the Yuletide is fast approaching. Unfortunately, employee motivation tends to drop at this time of year, with 28% of UK employees saying that they avoid taking on new work around the holiday period. What this means for employers is that it is officially time to commence Christmas strategy planning. There are many advantages to rewarding your staff over the Christmas period: it can improve staff morale, strengthen relationships within the company and show your staff that they are value. These are all ingredients in a successful employee engagement strategy. In fact, amongst companies that rewarded their staff over the festive period, 50% saw an improvement in productivity levels when they returned in the New Year, showing that there is likely to be a significant ROI. When it comes to the reward itself, we at Perkbox are big believers in maintaining originality, and introducing something a bit different. This will ensure that your kind offerings are not taken for granted or even begrudged, as is sometimes the case. Although it may sound difficult to believe, Christmas parties are the prime example of this, with 19% of office workers claiming they “hate” the shindigs. Hate! So we've put our Christmas hats together, and have come up with some creative ways to reward your employees this December and make your Christmas cheer last the whole year! Hiring a masseuse to come into your workplace is a cost-effective means by which to help your staff beat that end of year lethargy. Stress is responsible for the loss of 11.3 million working days a year. By rewarding your staff in this way, you can reduce stress levels and the accompanying absenteeism, whilst simultaneously showing your staff that you care for their wellbeing. Win! 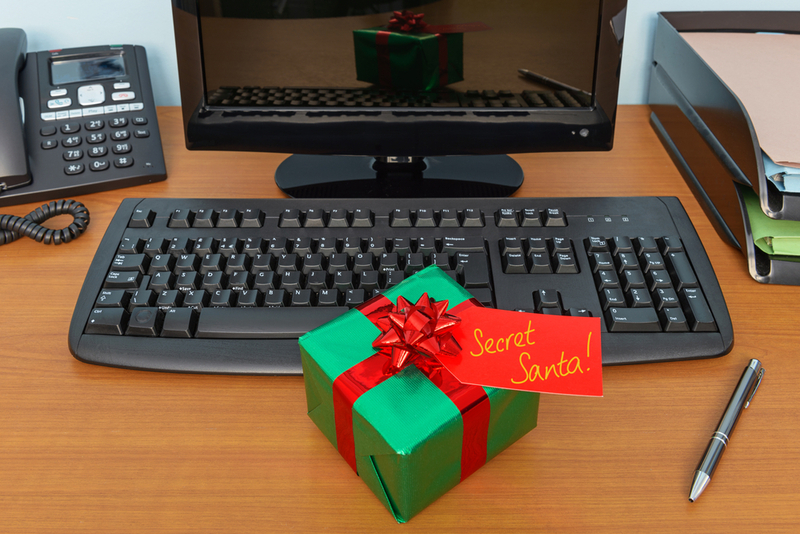 28% of UK employees say that they avoid taking on new work around the holiday period. By this, we don’t just mean simply hanging some mistletoe over the door (though we can appreciate the potential for humour in this). 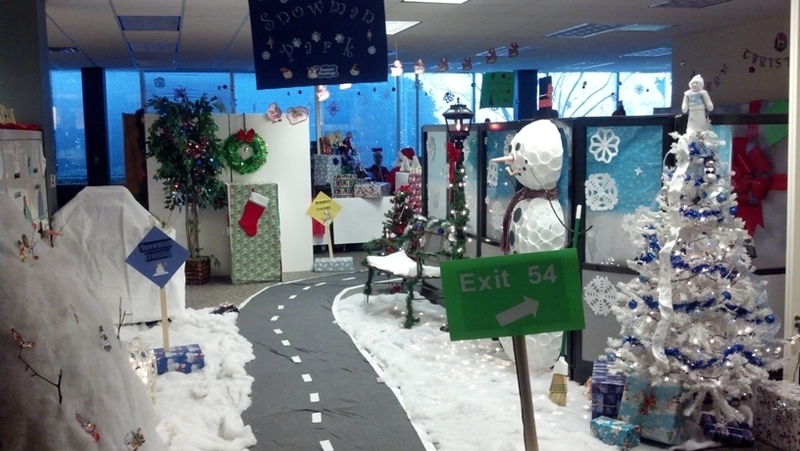 Why not give each team a budget and allow them to decorate their areas themselves? This invites creativity and friendly competition into the office, as well as inter-team bonding, driving increased productivity. Plants can make an office 17% more cheerful so welcome those Christmas trees with open arms. 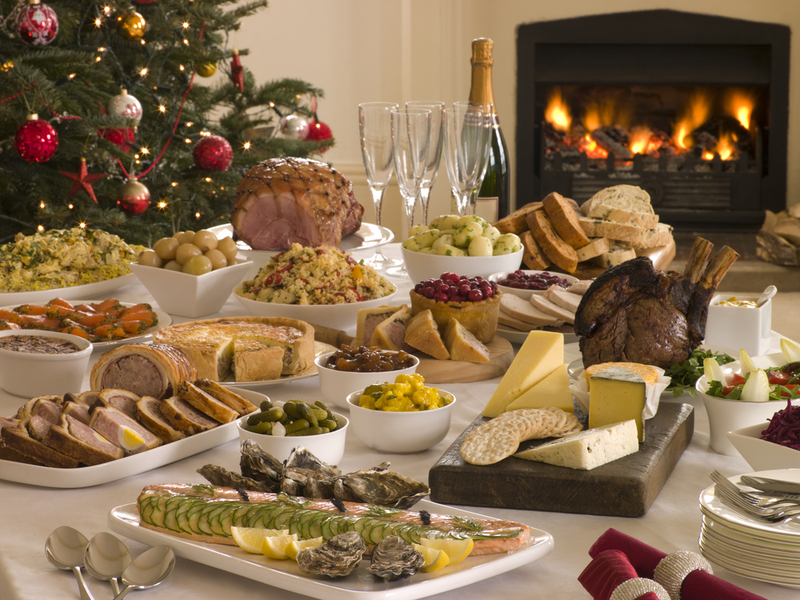 Hosting a Potluck lunch is a great way to inject some festive spirit into your workplace. For those of your who are stumped by this term, ‘Potluck’ is a gathering where each guest brings their own contribution to a meal. This task requires very little admin on the employer's behalf: simply put a day in the Google cal and send out instructions. Encourage employees to bring their family favourite Christmas dishes.This will show employees that you care about their heritage and is a good opportunity to expand the cultural horizons of your employees, whilst simultaneously boosting employee relationships. 71% of employees cite volunteering as key to improving personal wellbeing. 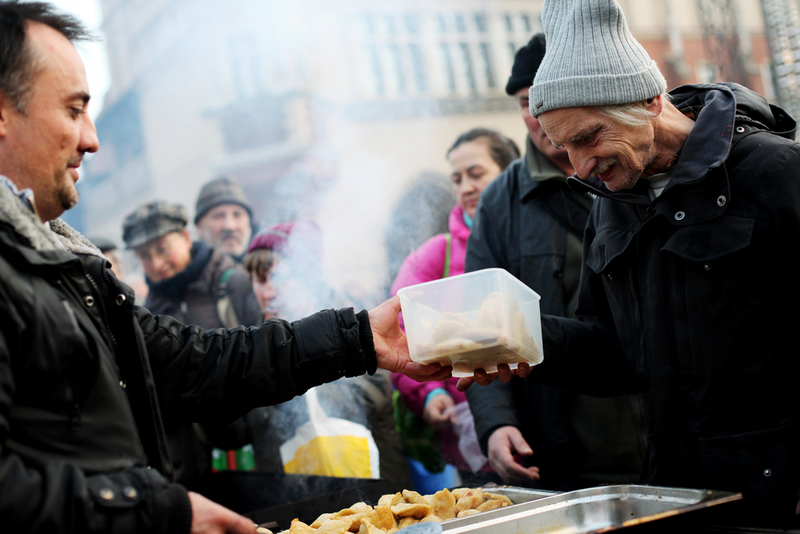 Christmas is the season for goodwill so there is no better time to give your employees the afternoon off to volunteer. This will demonstrate your social consciousness and allow them to see you as a moral employer; 85% of employees who were allowed to volunteer admitted that their perception of their company had since improved. Encourage them to contribute suggestions for where they think would be best benefitted by their efforts, to increase involvement and enthusiasm. It sounds like an old time classic... it is. Giving each employee an individual gift, tailored to their interests, is a difficult and time consuming task. However, we’ve found a way to make this possible: turn your employees into your Christmas elves by implementing a secret santa gift exchange and foot the bill yourself. Give each employee a lump sum and then let them do the hard work for you! This will ensure that each of your employees receives a gift and it will all be seen as a reward from their wonderful employer!